Frederick, Maryland is an excellent choice for a day trip from Baltimore, Annapolis, or DC. Offering scenic views, a rich history, and upscale shopping and dining options, Downtown Frederick delights visitors during any time of the year. This itinerary is perfect for a half day trip. Park in one of the convenient parking decks and enjoy an easy and leisurely walk to all points mentioned in this article. 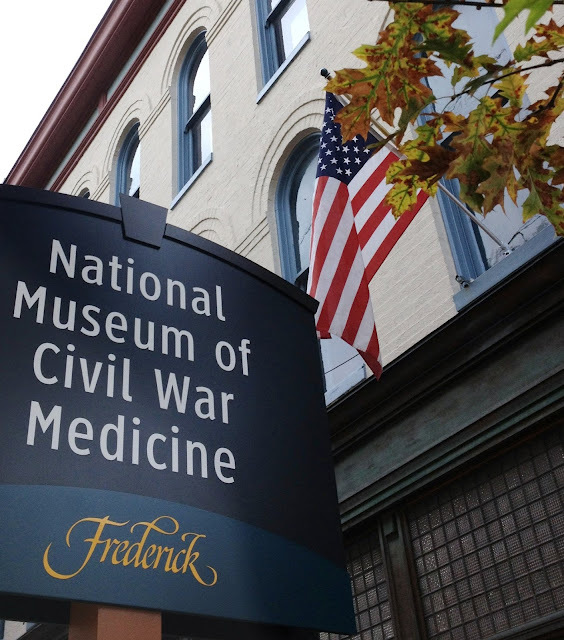 History lovers will appreciate the National Museum of Civil War Medicine located in the historic district. "During the Civil War, Frederick, a busy crossroads on America’s first National Road and first railroad, was witness to three Confederate invasions, thirty-eight skirmishes and two major battles (South Mountain and Monocacy) as hundreds of thousands of Northern and Southern soldiers marched through the community." Both my church and former school served as hospitals during the Civil War. Delightful shops and delicious restaurants dot Market Street and Patrick Street as well as other side streets in Frederick, Maryland. Whether you're looking for antiques, household items, or clothing, you'll be sure to find unique treasures along the way. I'm sharing some insider tips for shopping in some of my favorite stores in Downtown Frederick, Maryland so that you know exactly where to go. I visit Simply Beautiful Boutique (143 North Market Street) at least once a week to see what new goodies have arrived. 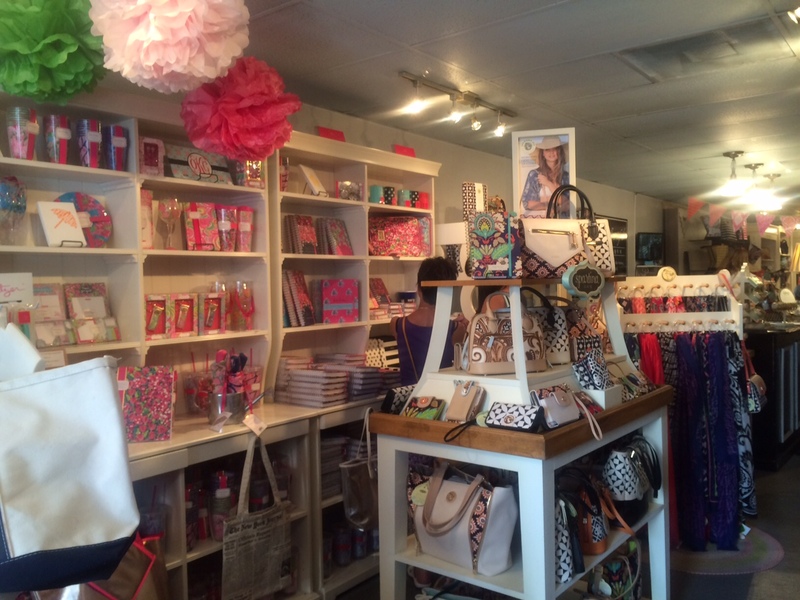 This preppy-approved store sells Simply Southern tees, Lilly Pulitzer, monogrammed jewelry, Crabberrie totes, and many other unique gifts. The owner is super friendly and helps you find the perfect gift. 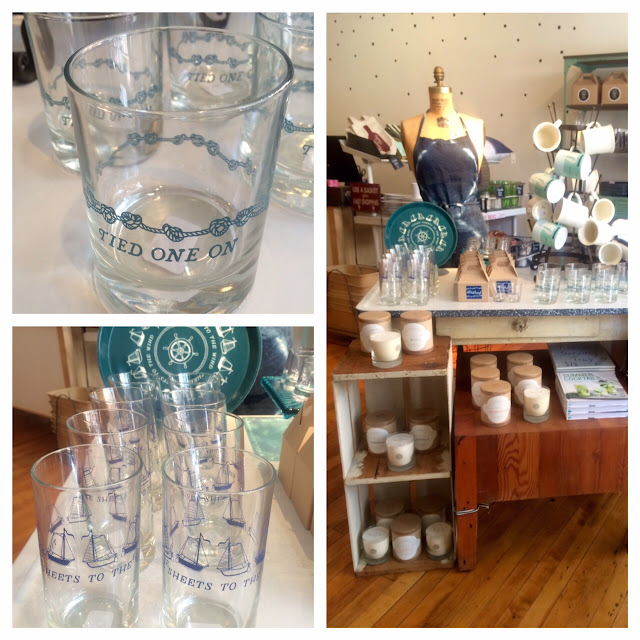 If you love home goods with a vintage flair, Relish Decor (38 East Patrick Street) is a must-see store on your visit. This lifestyle boutique boasts a stylish selection of tabletop housewares, kitchen furnishings, and unique gifts. I adore this bar ware with a nautical theme. The glasses are slightly slanted; looks like they're already a bit tipsy! Find upscale designer clothing, shoes, and handbags at Chic to Chic (30 East Patrick Street), a consignment store offering high-end, carefully curated selection. 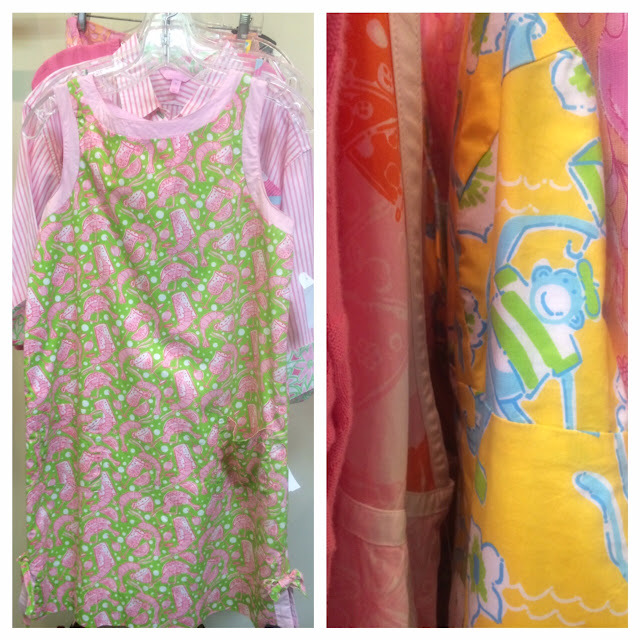 The store carries a variety of brands including, Tory Burch, Louis Vuitton, and Lilly Pulitzer. I recently spotted this rare shift in the coveted Shrimp Cocktail print in the store. Ellen, the store's owner, is a personal friend who always gives back to the community with outreach efforts and fundraisers. Shop for your favorite man at Hunting Creek Outfitters (29 North Market Street), a full-line Orvis dealer. Everything that he could imagine is packed in this fabulous store, including Yeti coolers, Barbour jackets, and oodles of specialty items. Murray is always helpful and knowledgeable, aiming to please his customers. 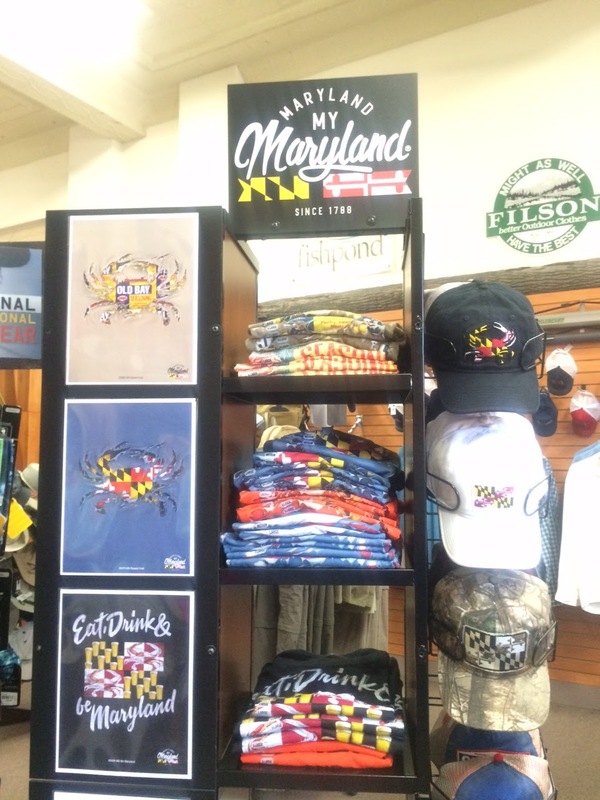 Show your Maryland pride with one of these stunning t-shirts. They were flying off the shelves when I last checked. After shopping, enjoy lunch at one of many options, all within walking distance.